As a continually evolving company investing in additional technical imaging capabilities and knowledge, ARC Aerial Imaging recently attended the 'BASIS Agricultural Awareness Training for UAS Operators Course' at Harper Adams University to augment its drone aerial imaging outputs and consulting knowledge. As a stand-alone course it serves as an introduction into the basic aspects of the agricultural sector and is designed for professional operators of UAVs/drones like ARC Aerial Imaging in providing them with a level of understanding and knowledge appropriate for their work within the agricultural supply chain and industry. 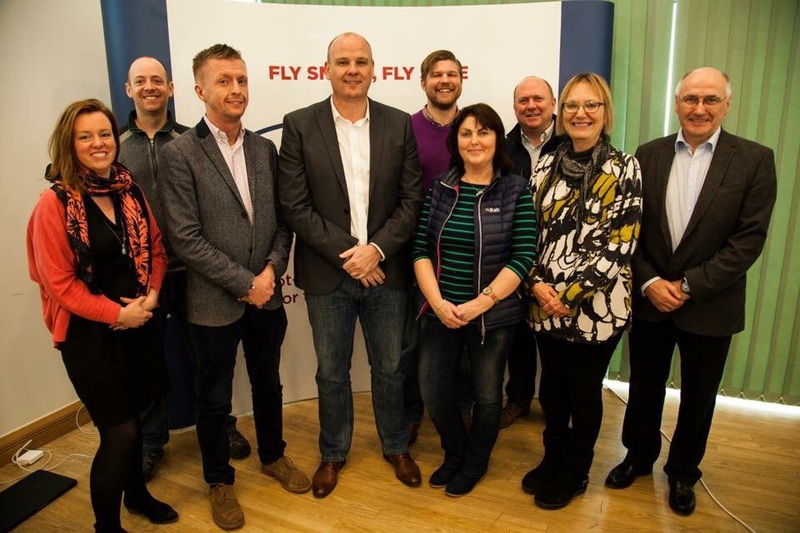 Furthermore, it will also enable ARC Aerial Imaging to join and be a member of the 'BASIS Professional Register for UAS Operators for the Agricultural Industry'. Agricultural drone use for high resolution data capture has increased markedly over recent years. Given the steady developments in drone, sensor, camera, data transmission, flight planning software and data processing technologies new agricultural applications for these versatile aircraft are progressively emerging. The growing importance of drones to farming is reflected in the development of a strong regulatory framework, a code of practice and a new BASIS registration scheme designed to safeguard their use in agriculture applications. Our attendance on this course will not only give ARC Aerial Imaging a better understanding on how technical drone aerial imaging can be applied appropriately for agricultural use but it will improve our imaging data reporting methods and delivery of consulting which is based upon its Imagery and Spatial Analyst's two decades of experience and knowledge with various collected forms and processed outputs of aerial imaging data. ARC Aerial Imaging was recently approached and were asked by Panzer Cases (www.panzercases.co.uk) to review their brand new range of professional equipement storage cases for the DJI Inspire 1 drone. Having used several professional cases to protect our drone platforms and ancillary equipment, we were privileged to have been given the chance to probably have first practical "hands-on" with their Aurora case range for the DJI Inspire 1. This review will be in several parts; firstly in this blog post we'll be giving our initial impressions of Panzer Cases' Inspire 1 Drone (Flight and Travel Mode) Aurora Case and, secondly, briefly reviewing the other Aurora cases that are available to support and protect other ancillary equipment for the Inspire 1. Lastly, and when out on an official aerial imaging commission, we'll soon be "field-testing" the Inspire 1 Pro Drone (Flight and Travel Mode) Case carefully assessing it's field performance in a future blog review post. Panzer Cases 'Aurora' Range for DJI Inspire 1 Drone. What immediately strikes you is its size - it's BIG! However, this is for some good practical reasons that encompasses some really clever storage solutions. To give you an impression on scale, below are three images comparing its size (bottom) with that of the Multi Rotor Axessories Case (middle) and the standard DJI case that comes as supplied with the Inspire 1 drone (top). DJI Inspire 1 Case (top), Multi Rotor Axessories Inspire 1 Travel Mode Case (middle) and Panzer Cases Aurora Inspire 1 Flight and Travel Mode Case (bottom). Multi Rotor Axessories Inspire 1 Travel Mode Case (top) and Panzer Cases Aurora Inspire 1 Flight and Travel Mode Case (bottom). Hosted within a 145.84 litre resin and class fibre air-transportable hard case, its build feels really hard, robust and has a dark grey professional look. The case features several carrying handles, one long on the front and two smaller ones at each end (one being encompassed by an additional larger handle to pull the case on its wheels). While these are robust and chunky handles which do feel solid they don't, however, have any rubber parts unlike the other smaller ancillary cases within the Aurora range. The front features a manual pressure release to the left which should stop the case expanding or becoming compressed if altitude varies. The wheels are large and quite broad which should provide smooth transportation of the case on hard surfaces and pavements but could be difficult transporting it on gravel, long grass and in muddy environments however Panzer Cases are considering a solution to mitigate this in the future. There isn’t a lot of protection around the wheels so that may be something to keep an eye on over time to see how they handle the rigours of general day-to-day uses which we feel will cope with and if regularly being transported by air. The case has seven latches (three latches at the front and two on each end) which use a lever/lock system to secure the case lid. Like the other case I have, there are no springs at play with these latches and these simply snap (with a bit of applied strength) firmly in to place and snap open with side ribbing to protect the latches. For additional equipment security there is a total of 6 holes (4 at the front, one at each end of the case) for small padlocks. Looking inside the case reveals the custom designed foam and it has to be stated this really impressed us - there’s some clever design work within here offering, unlike some cases, a variety of optional equipment storage solutions. The Inspire 1 drone is comfortably housed (both in the drone's flight (with X3 or X5 Camera attached) or in travel mode and is firmly protected. The high quality of the foam is indicative of that found in other high-spec pro-cases for the transportation of highly-sensitive equipment and surpasses the quality that can be found within another popular Inspire case that we also have. The case's lid is also internally lined with the same custom designed solid foam with 8 individual recess cutouts which can accommodate the standard DJI and other third-party carbon fibre props. Aside from the recesses within the larger section specifically designed to protect two controllers, two tablet devices (or for documents/flight checklists etc) and the Inspire 1 drone (more later), what sets this case apart from the rest is the additional separate and optional storage areas for priority ancillaries. Six TB-series Inspire 1 batteries are stored perfectly within a removeable foam tray (see above) where underneath is another storage area for the other ancillaries including battery charging cables, both X3 & X5 cameras, additional optics including X5 lenses, GoPro cameras and cables - we even managed to safely store in the main part a 7" field monitor, its power and HDMI cables within one of the recesses for the Inspire's motor arms (illustrated below). As an example of how Panzer Cases have put a lot of thought towards the case's design to alleviate many equipment storage problems, the TB-series battery tray can be interchanged with one of the foam storage trays from within the smaller auxiliary case which is also part of the Aurora case range (see images below). This has been cleverly thought out by Panzer Cases in so that batteries can removed from the main Inspire case and instead be hand carried within the auxiliary case as cabin/hand luggage should airline carriers require this on safety grounds for flights. However, and should you have more TB47 batteries needed for use and onward transit, Panzer Cases also have a dedicated Aurora battery case product for them. The Inspire 1 drone is supported by its legs both in the travel and flight modes and partially by foam parts deep within the centre of the case which contacts and comfortably supports the main underside body part of the drone. Deep recesses to accommodate the Inspire 1 in both Flight and Travel modes. With the Inspire 1 in flight position mode the landing gear is close to the bottom of the case (see below left image) with no foam lining between the case's bottom and the landing gear feet. We're not sure how much of an issue that would be in the event of an impact but we would opt to add a little more foam at the bottom on the case just to offer a little more protection. We're confident it will be fine for short journeys but for long international trips we'd recommend having the Inspire 1 configured in its "travel mode" with camera removed (see below right image). As stated before, additional and ample storage space is offered within the recesses both above the motor arms if the Inspire is in flight position mode or below the motor arms if the Inspire is in the travel position mode. Inspire 1 (in Flight Mode). Inspire 1 (in Travel Mode). Without a doubt this is an exceptional case! The robustness of the case's exterior, the design of the storage layout within, the quality of the protective foam and, unlike some other cases that dictate how and where you store your Inspire 1 drone and its associated equipment, the diverse ancillary storage options within is superb. Panzer Cases have really put in a lot of thought to every aspect of it’s internal design and have worked hard researching, learning and understanding what can be improved upon from feedback from drone users of other cases (including us) to alleviate the problems of storing an ever increasing amount of drone-supporting equipment and transporting them safely all in one, albeit, large case. Without long term practical "field testing" (this will be subject of a future review blog post by us) yet it’s hard to say how the case itself will stand up to the rigours of travel but we're confident it will and we look forward to putting it to test soon. Both cases are hosted within a 17.9 litre resin and class fibre air-transportable hard case and like the 145.84 litre case for the Inspire 1 drone, their builds feel solid and have a dark marble grey professional look too. Both cases feature a single carrying handle at the front, is robust and unlike the Inspire 1 drone case, are rubber lined for extra grip. As the cases are the same externally, the front also features a manual pressure release in the centre. Panzer Case Inspire 1 Drone TB-Series Battery Case. Panzer Case Inspire 1 Drone Smart Powercharge Case. Case easily accommodates 8 x TB-Series batteries and power charging cables. Case easily accommodates the Smart Powercharge Station, power and equipment charging cables. This case is hosted within a 28.5 litre resin and class fibre air-transportable hard case and, like the 17.9 litre battery and smart powercharge cases for the Inspire 1 drone, its build is solid, has a dark marble grey professional look and also features a single rubber lined carrying handle at the front with a manual pressure release in the centre. Like their other Aurora cases, the foam is the same type which is of exceptional quality and we were able to accommodate a plethora of ancillary equipment including X3, X5 and GoPro/Firefly cameras, X5 lenses, ND filters, battery charging cables/hub and harnesses - we even managed to accommodate several 3D-printed mounts for our other sensing cameras with ample room to spare (see image below). The auxiliary case is also handy at storing those delicate items that you may not want to be transported with the Inspire 1 drone in the larger flight case and, as described previously, the larger of the two foam insert (see below) can be swapped for the battery foam tray in the Inspire 1 case to transport batteries as cabin/hand luggage should airline carriers require this. Much like their larger and superb Inspire 1 drone case counterpart, these ancillary equipment cases are also exceptional both in quality and their offering of individual practical storage solutions and Panzer Cases have truely put in a lot of thought into every aspect of their individual internal designs alleviating the struggle of storing an ever increasing amount of drone-supporting equipment and transporting them safely all in their dedicated cases. Panzer Cases even express that all of the Aurora case range for the Inspire 1 drone do have a "Lifetime Warranty" which covers case handles, hinges and pins, brackets, wheels, lock fixings (including their pins), valves - even the case seals. Should you wish need to know more information about the whole Aurora case range for the DJI Inspire 1 drone with prices, worldwide delivery etc, this can be found by visiting www.panzercases.co.uk, checking out their Facebook Page at www.facebook.com/panzercases or emailing "info@panzercases.co.uk"
UAV/Drone Aerial Imaging Acquisition, Imagery Processing and Product Dissemination to Clients - not ALL companies are doing it right! So you've done your initial checks and have chosen to commission the services of a UK NQE trained, CAA approved and insured UAV/drone operator for your business needs. Great, but how do you know they are the right operator for your specific business requirements and do you know if they can truly deliver a comprehensive aerial imaging service? Like other continually emerging industries it has its challenges particularly for individual businesses when it comes to promoting to potential clients the benefits of using UAVs/drones for a wide spectrum of uses and applications that have commonly been undertaken by more traditional methods. However, and what is maybe starting to emerge as a concerning trend, is feedback from potential future clients who are becoming reluctant to further commission a UAV/drone aerial imaging company's services having experienced a poor service in the past from other operators/companies who are lesser in capability, experience and understanding/knowledge. One example that came to our recent attention at a CPD event for Chartered Building Surveyors was that another operator's client (the Building Surveyor) wanted nadir aerial imaging mapping of a large commercial area that contained several distribution centres for the purposes of the client's understanding of initial surface structural integrity assessments from imagery and their processed datasets through formal analysis. Unfortunately the operator (and there are likely more conducting themselves in this manner) only provided the raw imagery as their "finished product" with no formal supportive reporting of the commission or providing any analytical consultation that could have provided their client with valuable and actionable information. At ARC Aerial Imaging not only are we safe, legal, CAA compliant and insured for generic commercial UAV aerial imaging commissions, we also provide a FULL, specialist UAV aerial imaging and geospatial consulting service. From the articulate planning and acquisition of baseline geotagged RGB aerial imagery, the creation of technical geospatial datasets with centimetre-level accuracies right through to delivering imagery and spatial analysis detailed in formal textual and illustrative reporting thus providing valuable, informative and actionable consultation to the client. With safety always paramount and which forms as a key driver towards its professional UAV/drone aerial imaging procedures and services, ARC Aerial Imaging attended several nationally-recognised safety accreditation courses to give assurances to current and future clients of its operational and service safety. Having already its own company health & safety policies in place and further enhanced (including UAV/drone, on site and personnel operating procedures), ARC Aerial Imaging attended the IOSH Working Safely course which, focused on best practice, is intended to improve its company-wide safety awareness culture and appreciation for safety measures. Also recognised by CSCS as an equivalent to a Level 1 Award in Health and Safety in a Construction Environment, ARC Aerial Imaging will be undertaking the CSCS Exam in due course to also enhance its reputation within the construction services supply chain network. Furthermore, ARC Aerial Imaging attended a 2-day ECITB CCNSG Site Safety Passport course which is aimed with an underpinning knowledge of Health and Safety to enable contractors to work on a site more safely with lower risk to themselves and others whilst meeting statutory requirements of the UK Health & Safety Executive. 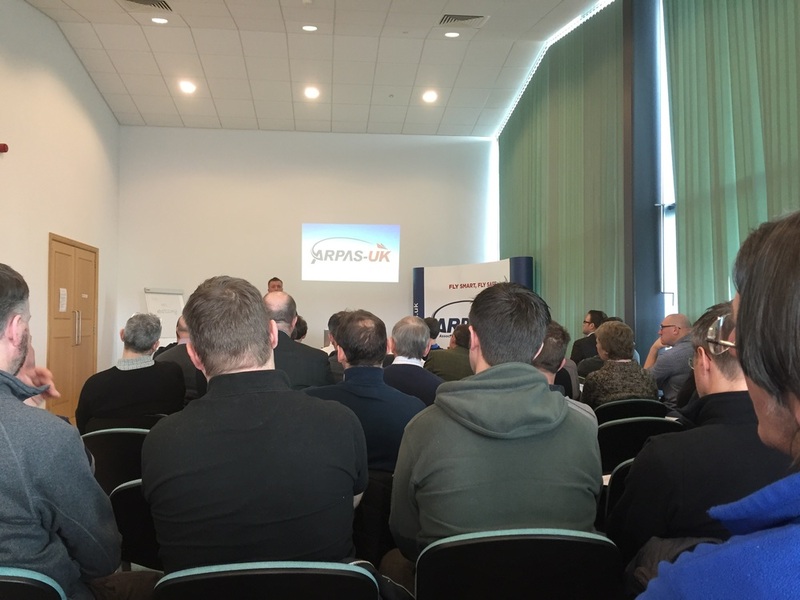 ARC Aerial Imaging attended the ARPAS-UK AGM which was held at Turweston Aerodrome, Northamptonshire, England on Friday 26th February 2016. Formed in 2013, The Association of Remotely Piloted Aircraft Systems UK (ARPAS-UK) is a non-profit association that represents the small RPAS industry in the UK and to help promote best practice amongst its members. ARPAS-UK is the unified voice of our members, pushing for sustainable growth within the RPAS industry in the UK and ensuring that all operators are represented; both with the CAA and other stakeholders. During the AGM the committee reflected on its achievements over the year and it gave its members an informed insight into some ongoing and exciting projects in the future. As part of normal AGM protocol, it was also an opportunity for ARPAS-UK members to pay its gratitude to the outgoing ARPAS-UK committee for their organisation and their tireless work during 2015 and to vote in a new committee. The new ARPAS-UK Committee (Image: Jonathan Potts). On a less formal standing, Yuneec UK were also in attendance and gave a briefing and demonstration of several RTF RPAS, notably their Tornado and Typhoon platforms. Yuneec RTF RPAS (Tornado and Typhoon platforms). Dan from Yuneec (UK) demonstrating the Tornado platform. It was a great day and an opportunity to meet with fellow UK professional UAV/RPAS commercial operators - with lots of discussions and with the potential to possibly collaborate with some. The Civil Aviation Authority (CAA) has recently seen it fit to alert estate agents that they could risk substantial fines if they are using imagery for commercial gain that has not been taken by a legal operator. Commercial work can only be undertaken legally by operators who hold a CAA "Permission for Aerial Work (PFAW) - if they’re not ‘licensed’, neither will they be insured! If you seek a local operator like ARC Aerial Imaging, their travel and time costs will be less than an operator traveling across the country. From a business perspective this makes good practice to support the local economy to which they are also part of. Footage needs to be taken when the weather is good: blue skies, light winds and the sun in a good position for the best shots. A local operator will be in a pre-informed position to arrive at a location and know what aspects the imaging will be best achieved when these conditions are right. Have the property agent prepared a list of shots required. What post shoot processing of the imagery will be required? Will the agent be doing that ‘in house’ or is editing required from the operator? Let the operator know the location well beforehand. We undertake a pre deployment survey where an initial decision is made as to whether it will be safe to fly and if there is any obvious risk mitigation needed before flying. Make sure the client is aware of what is planned and when it is likely to happen. Site staff ought to be informed for their awareness and safety. If relevant, property surrounds could also be prepared. For example lawns may need to be cut, entrance gardens made tidy and vehicles parked neatly. ARC Aerial Imaging can safely, precisely and accurately plan to collect ~2cm GSD baseline geotagged aerial imagery and produce various geospatial products including orthomosiacs/landmaps, GeoTIFFs, 3D Google Earth layers and digital terrain and surface models. Furthermore, our services can also include providing geospatial analysis with informed consultation. Our georeferenced products come with an accompanying Collection Accuracy Statement in the form of an Overlap Report image that is also generated during processing. This indicates to the client and GIS end user on how many nadir images (indicated as black dots in the left Overlap Report image) contain a view of tasked survey location within the processed survey area and giving them an illustrative and informative representation on how accurate the aerial survey was conducted. Generally, the more "looks" at a feature on the ground the system has to work with, the better the outputs will be (within reason). The Overlap Report colour codes these numbers to inform the client when the system considers to be good or bad overlap coverage and helps them visualise the things that affect the collection of consistent overlap. For example 1, 2, 3, 4 or 5 views (colour coded in reds) of an area is considered to be inadequate for the purposes of reconstructing a 3D scene. 6, 7 or 8 views (colour coded in greens) are considered adequate for the reconstruction of fairly simple features like fields, basic structures or stockpiles. For the greatest ability to reconstruct a complex scene, getting 9 or more views (colour coded in blues) is required to have the detail necessary to reconstruct complex features like buildings, trees or other vegetation. In addition to our aerial imaging services, exclusive and increasing aerial stock footage collected from ARC Aerial Imaging's multi-rotor platforms can now be ordered via Airstoc. Airstoc is the world’s first dedicated marketplace for the professional drone industry, connecting customers with operators around the world. It's operators are equipped to carry out a wide range of jobs and are currently spread across 66 countries. In addition to this, Airstoc showcases and sells exclusive aerial stock footage, showing completely new perspectives and angles. This displays the large volume of current stock footage in one place, allowing customers to find the perfect clip to add value to any project, offering Ultra High Definition, (4K, 5K and 6K), aerial stock footage. UAVs, or drones, continue to be the subject of many media features almost on a daily basis with interest growing as it's one of the fastest developing technology industries; from emerging platform types, their capabilities and the diverse ways commercial aerial imaging services and their applications can provide. With this come many challenges; appropriate commercial operator training/certification, legislation and safety to name a few. However, one of the most apparent and important aspects to observe, particularly as a commercial operator, are concerns regarding individual privacy. ARC Aerial Imaging understands the public's perceptions and concerns with UAV/drone use in UK airspace and, as part of its modus operandi, respects the privacy of others by following procedures and policies outlined by the Information Commissioner's Office (ICO) regarding data protection and privacy. As a general guide the following informative 8 minute video (courtesy of Frank D'Amato - www.youtube.com/user/fdnyfish) illustrates what can and cannot be clearly identifiable at various heights from a UAV/drone. In its pursuit to continually improve its practices and to alleviate these concerns, ARC Aerial Imaging undertakes the following approaches towards delivering its diverse aerial imaging services. Flight planning. ARC Aerial Imaging's UAVs' batteries are limited in their flight durations. By understanding our platform's capabilities we are able to make best use of its flights by planning effectively and also put in place plans to also avoid invading the privacy of other people. For example, it may be more privacy-friendly to launch from a different location rather than flying close to other people or their property. Let people know before you start recording. In most client tasking circumstances this is going to be quite straight forward because the client will be briefed on ARC Aerial Imaging's approach towards aerial imaging (method statements). In other circumstances, for example imaging a property on behalf of an estate agent which might unintentionally include the imaging of another property nearby, this is going to be more difficult. Should this be the case, ARC Aerial Imaging will take appropriate steps to inform those prior to the conduct of aerial imaging. Keeping our UAVs in view. In accordance to our license (PFAW) conditions to commercially operate UAVs, the operator will be clearly visible and therefore make it easy for members of the public to identify the person responsible for the UAV. If you are considering hiring a company that undertakes both stills and HD video aerial imaging through the use of UAVs/Drones for your business needs, it is VERY IMPORTANT that they ARE CERTIFIED to do so. Only Civil Aviation Authority (CAA) approved entities are safe, qualified and permitted to undertake aerial imaging work in UK airspace. To operate and deliver aerial imaging services using unmanned aerial vehicles, the operator/company needs to have what's known as a "Permission for Aerial Work" (PFAW) from the CAA which is a LEGAL requirement to possess when operating UAVs/Drones on a commercial basis in the UK. Those that are NOT CERTIFIED yet have declared to clients they are "operating" commercially can POTENTIALLY BE PROSECUTED. Those who employ the services of non-qualified providers could also be liable for prosecution. In order to obtain PFAW, this is achieved by several staged processes. Initially this is by undertaking appropriate theory and practical training from a CAA-recognised National Qualified Entity provider of training (Ground School); secondly, have been flight assessed on whatever platform(s) the operator/company intends to use to deliver their services; thirdly, compile key documentation (Operations Manual) before having it submitted to the CAA when complete. Finally, and upon approval from the CAA and once the operator/company has received their PFAW, they are then permitted to operate UAVs/Drones on a commercial basis. Legitimate UAV/Drone aerial imaging operators and companies will always have a PFAW and should present evidence of this, accompanied with other key and pertinent documentation, upon request from the client.